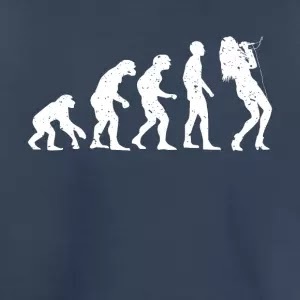 If you have wondered how the evolution of singing came about, then you will certainly find some answers in this article. In the beginning, man sang out their feelings. And this is long before they were able to speak their thoughts. That being said, there was absolutely no similarity back then to singing in a modern day concert hall. The reference to speech originating in song, therefore, means our comparatively monotonous spoken language and our highly developed vocal music are differentiations of primitive utterances, which had more in them of the latter than of the former. We can relate these utterances to the singing of birds and the roaring of a myriad of animals and the crooning of babies—exclamatory, not communicative. It came forth from our ancestors’ inner craving of the individual without any thought of fellow creatures. They didn’t have the slightest idea that communicating ideas and feelings to someone else was even remotely possible. The more you explore how long singing has been around, the deeper you’ll want to dig to discover the evolution of singing. The voice, presumed to be the original musical instrument, and the vocal production of musical tones, are so intrinsically basic to man, its origins are long lost in antiquity and predate the development of spoken language. You’re going to be surprised to discover that there is no human culture, no matter how remote or isolated, that does not sing. Not only is singing ancient and universal, in primitive cultures it is an important function associated not so much with entertainment or frivolity as with matters vital to the individual, social group, or religion. Primitive man sings to invoke his gods with prayers and incantations; celebrate his rites of passage with chants and songs; and recount his history and heroics with ballads and epics. There are even cultures that regard singing as so incredibly potent an act that they have myths that suggest creation was sung into existence. It is likely the earliest singing was mainly individualistic and more improvisatory, imitating the sounds of nature, but at what point it became meaningful and communicative cannot be established. No doubt, it was an important step in the creation of language. Anthropologists believe the development of a lowered larynx (important to articulate speech, as it effectively makes the flexible lower tongue the front wall of the pharynx), was a relatively recent aspect of human evolution. As there are no bones in the human larynx, archaeological remains offer no direct physical evidence of the vocal apparatus of prehistoric man. 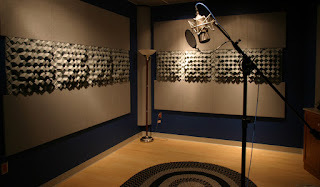 We also lack studies that correlate vocal characteristics to body size (basic gender difference aside), and there is general belief large-bodied peoples like Slavs, tend to produce low-voiced singers, while small-bodied peoples like those in the Mediterranean, would produce more high-voiced singers. If there is any validity in this, the voice that belonged to the owner of the prehistoric jaw bone half the size of a modern jaw unearthed in 1909, at Heidelberg, Germany, may have been a remarkable discovery. Some experts would suggest that carrying the idea of relating body size to vocalism into more recent periods, sees modern man as having grown too large to fit the armor of medieval knights. And more recently, it is suspected that, increasingly, the male alto voice type is becoming somewhat of a rarity. Tempting though it is to see a relationship between such things, we lack the means to support it factually. In Conclusion: Based on our knowledge of the singing of present-day primitive peoples, a possible scenario of musical development in the evolution of singing would begin with simple melodic patterns based on several tones. Also, pitch matching where several persons sing in unison might emerge next, with singing in parallel motion with women or children singing with men; and call-and-answer phrases, and drone basses as subsequent steps. All of which would lead to an evolving sense of tone and scale structure giving rise to the development of such basic musical devices as melodic sequences and formulae. I do sincerely hope that this article has given you some insight as to how long singing has been around. Thank you for dropping by. Strangely enough, I’m writing this blog post on flight ET 900 from Lagos to Addis Ababa. My nine days in Lagos, where I attended the All Africa Music Awards (AFRIMA) 2017 adjudication process as a member of the Jury, was—to say the least, a bit of a whirlwind. And that’s putting it—well, rather mildly. I remember at the press conference yesterday, when the press, knowing it was my first visit to Lagos, wanted to know of my experience of Lagos. Quite literally, I wasn’t going to lie. For me Lagos had been a series of back and forth trips from my hotel room; to the boardroom (on the same floor) and the dining room. I never had the chance to sightsee, as it were. We worked back-to-back and flat out into the night to sift through a combination of 4,800 video and audio entries. (I'm sure I'll get to see Lagos some other time). If I’m honest, I’ve sat on the jury panels for EATV Music Awards and the Kilimanjaro Tanzania Music Awards and it was nothing like this. The sheer volume of entries at AFRIMA was just unbelievable. Not complaining, just reporting the facts. This was WORK! Tons of work. That being said, it was a wonderful experience and I met some truly awesome individuals on the panel—fellow jurors from all over Africa, whom I now consider family—and the AFRIMA management, who did their very best to ensure that we all had a pleasant stay. It is quite incredible how the music industry has grown on the African continent. But what truly took me by surprise was how little I knew about what was happening in other parts of Africa. 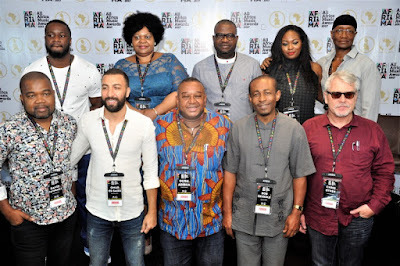 In essence, myself, as well as the other members of the jury were discovering new music from across the African continent every minute every hour. And I think from this point on, I’ll want to stay abreast with the African music scene right across the board as best I can. We're on the same continent, and yet our music is so diverse. What probably came as a shock was the HUMONGOUS followings North African artists had... some had as many as half a billion views on YouTube! Which is completely unheard of in the rest of Africa. Fascinating. Well, it’s nice to be home. And I shall now look forward to attending the AFRIMA 2017 Awards Ceremony coming up in November.